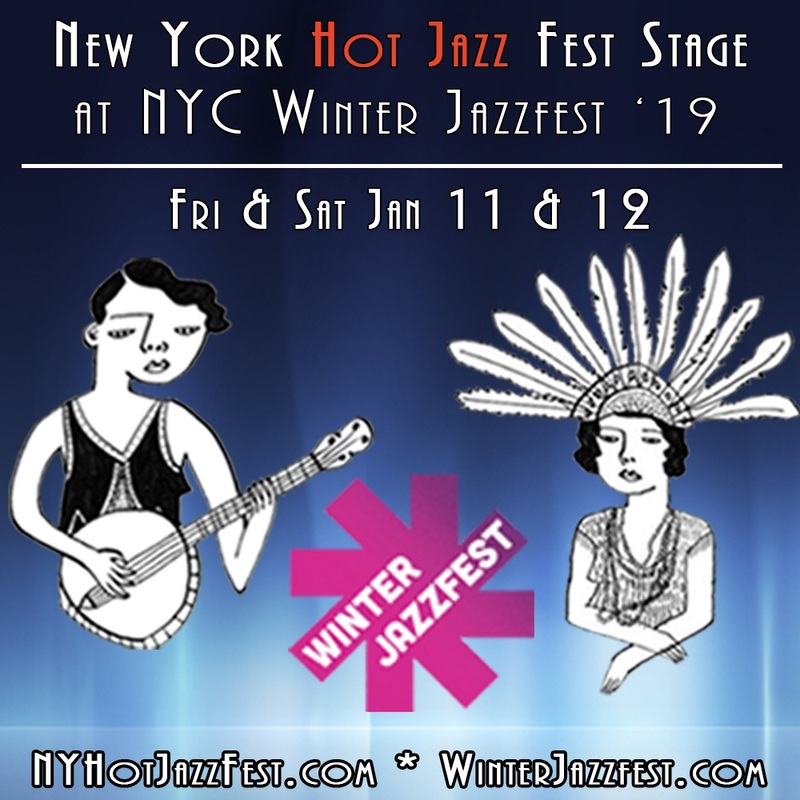 Join us for 2019 edition of NEW YORK HOT JAZZ FESTIVAL STAGE at NYC WINTER JAZZFEST marathon. We are thrilled to be returning to NYC Winter Jazzfest for the 5th straight year with dedicated stages of our own at the gorgeous Public Arts and The Diego located at the new ultra-chic Public Hotel on Friday and our old spot, Renee Weiler Recital Hall at Greenwich House Music School, on Saturday. New York Hot Jazz Festival Stage will present a dozen star acts, many with New Orleans and French connections, over two blowout nights, with the overall NYC Winter Jazzfest featuring over a 130 different groups at a dozen venues within walking distance of each other. Festival pass holders are welcome to either venue-hop or stay at our stage for the entire nights. As always dancing is encouraged and inevitably irresistible. Additionally, the Fest co-founder Bria Skonberg will be appearing at a different stage as part of the wider Winter Jazzest marathon with her Sisterhood Of Swing big band. Please help us to make hot jazz and swing dreams come to life. We have dozens of incredible show ideas that could only be produced with support of traditional jazz loving angels helping us to gift the glory of this music and to support and encourage the musicians carrying on its legacy. No donation is too small or too large. Please help now so we can go on creating what no one even five years ago thought would be possible.